Well, I decided to RE-post an OLD, OLD blog post. Fun fact: I first started my blog (under a different name) it was one of my graduate classes. 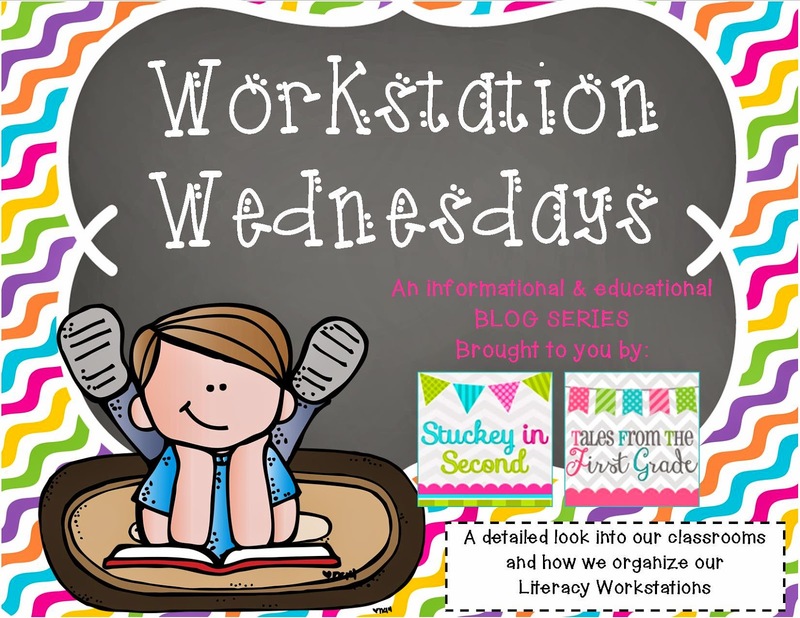 We had to create a blog and post different teaching ideas that had to do with what we were learning and using in our classroom! The original blog was only viewed by my professor and my classmates. It was blocked from everyone else!! Here is one of my first posts and when I was looking at my "stats" the other day, it has the most views! By far!! As I mentioned in my Compare and Contrast Workstation Entry, I use the passages that are used there the following week in this Main Idea Workstation. I use a card to cover up the questions that go along with the passage, partially because they have already answered them in the previous week, and partially because they happen to be "compare and contrast" questions, not main idea and detail questions. Students are to reread this "familiar" passage twice to themselves or to a partner, then complete the Main Idea and Details graphic organizer. As you can see below, students have the opportunity to underline and cross out certain things in the passage while they work. Often students underline the parts that they want to include in their graphic organizer (the most important details to support the main idea.) Then, once they record that detail, they cross it off. Students seem to work well with these short, to the point passages. Although students need practice with longer passages for standardized tests, I have decided that this is sufficient practice for 2nd graders at this stage, due to them just beginning to learn the concept of "Main Idea and Details." I am pleased with the progress that students are making with this workstation and I have to admit that it's a pretty easy workstation to keep up with week after week. I simply rotate the three passages from my "Compare and Contrast Workstation" to this one. There is no wasted paper and the graphic organizer can easily be checked by my assistant as an accountability piece, then simply erased with a paper towel or tissue by the student. FCRR Narrative Text Structure Activities Scroll through these activities to find not only additional main idea and details resources, but also activities for story elements, story retell, and compare and contrast.